The former owner and manager of a care home in Southampton have had their convictions for neglecting elderly residents quashed on appeal. Annette Hopkins, 65, who owned Briars Retirement Home, was convicted of wilful neglect and given a 30-week suspended prison sentence. Manager Margaret Priest, 56, was ordered to carry out 200 hours community service. But the Court of Appeal found that the trial judge had misdirected the jury. The appeal judges said the charges should have been explained more clearly. 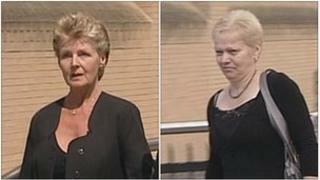 They said this meant the jury could not distinguish between the two defendants in respect of the counts Mrs Priest was acquitted of but Ms Hopkins was convicted of. The Crown Prosecution Service said it would not be in the public interest to seek a retrial. During the trial, Southampton Crown Court heard how residents, who were aged between 77 and 96, were left in soiled sheets for lengthy periods and had suffered painful bed sores. The home was closed down in September 2009. Ms Hopkins, of Thorold Road, Bitterne, had also been fined £3,000 for each of the nine counts against her, totalling £27,000, and told to pay £25,000 costs. The appeal judges ruled that Ms Hopkins should be paid back any money she had already handed over. Ms Priest, of Lydgate Green, Hightown, had been convicted of four charges of wilful neglect.